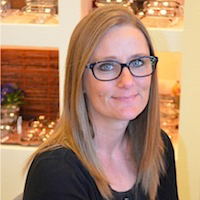 Tigard Vision Center is pleased to offer a wide range of optometric services, eye care products including eyeglasses, specialty eyewear, frames, and contact lenses. Our staff is happy to help however we can. After 50 years, we continue to strive for growth and quality care in the optometric field. It shows in everything that we do. From your first contact with us to your appointment and your follow-up, we aim to make your eye care experience great. This is what drives us to provide you with the best care year after year! 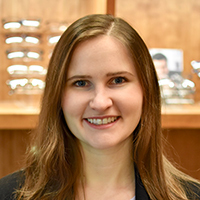 Dr. Emily Bee is a Portland local who earned her Bachelor of Arts degree in Biology from Willamette University in 2012, and received her Doctor of Optometry degree from Pacific University in 2017. During her time at Pacific, she completed clinical rotations at the Portland VA Medical Center, Chemawa Indian Health Service, and Pacific Cataract and Laser Institute. Dr. Bee practices primary care optometry with specialty care related to ocular disease, and pre/post-operative care for cataract surgery and LASIK. Dr. Bee enjoys playing tennis, skiing, hiking the Pacific Northwest, and spending time with family and friends. 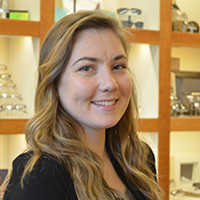 Dr. Elaine Wyner earned her Bachelors of Science in Nutrition and Health Sciences from Oregon State University in 2013 and she went on to receive her Doctor Of Optometry from Pacific University in 2017. 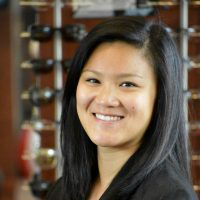 During her time at Pacific University she completed clinical rotations with ICON LASIK, the Portland VA Medical Center, and several private practices in Oregon and Washington. 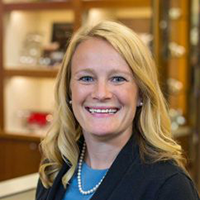 Dr. Wyner enjoys running, cycling, swimming, playing tennis, and spending time with her friends and family. Dr. Jack Smith attended Pacific University between 1955 and 1960, where he obtained both his M.S. degree and O.D. degree. 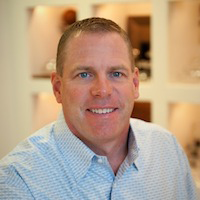 After college, Dr. Smith worked at the U.S Army Hospital in Fort Hood, Texas for three years as an optometrist. 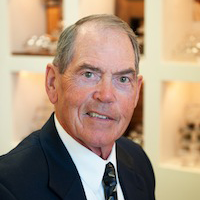 After finishing his career with the Army, Dr. Smith returned to Oregon and founded Tigard Vision Center on Main Street in Tigard in 1964. Dr. Smith passed away in August of 2015. He enjoyed spending the winter months with his wife Gwen in Southern California where he actively golfed, played softball, and was a member of a bowling league. 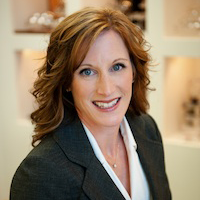 Kristy has been an optician since 1992 and has been with Tigard Vision Center since 2011. She enjoys boating with her family and friends, camping and spending time with her husband and 3 children. 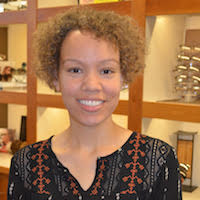 Kyra joined Tigard Vision Center in January 2016. She enjoys traveling to warm places with her family. In her spare time she likes to bake cookies, and crochet gifts for her Goddaughter. 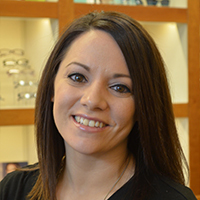 Valerie joined Tigard Vision Center in September of 2016. She spent the previous 5 years working in the hospitality field and felt like she was ready for a change. 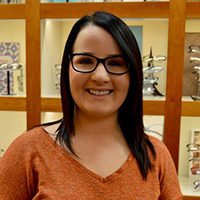 Being a long-term glasses wearer and having an extensive background in customer service, Valerie was seeking an opportunity in the optometry field because she felt she would be very relatable to our patients. On her days off, Valerie enjoys going on hikes when the weather is nice. She enjoys photography and cooking healthy meals at home with her boyfriend. 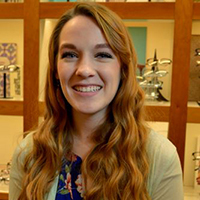 Ashley began working at Tigard Vision Center during July of 2018.Originally from Seaside, she enjoys spending time with her family and visiting her hometown. You can find Ashley staying active outside when the weather is nice. She loves to work out, go kayaking, cook, and hunt for new ciders to try. Kristin became a member of the team in October of 2018. She loves to travel to tropical destinations and explore new places. Kristin also enjoys the outdoors and can be found snorkeling, hiking, taking nature photography, and painting during her spare time.